Siding gets weathered down fast in Northbrook, Illinois from storms. Storms can cause a lot of damage such as dents, holes or even siding to rip off of your home. Mark’s Tuckpointing offers siding repair and installation services in the Northbrook area. We have several different types of siding options in which you can choose from. Our team can help you choose the best type of siding for your home to make sure it is one that will last for many years to come. If you are looking for siding repairs, we will inspect your siding and then explain what repairs we will be doing. You can rely on our team of professionals for all of your siding needs. Most residents in Northbrook, Illinois have needed their siding repaired or replaced from bad weather conditions. Siding is typically pretty quick to install, depending on the type you choose. If you need siding installation service done on your home contact Mark’s Tuckpointing. Our professionals will walk you through the entire process and make sure you understand what we are doing to your home. We will help you choose the best type of siding for your home and keep the location in mind when deciding. All of our professionals at Mark’s Tuckpointing are highly trained and certified with many years of experience. You can trust our team for all of your siding services. Wood Siding – Wood siding is an environmentally friendly option. It is very easy to replace any pieces that need replacing. Vinyl Siding – One of the most durable and affordable siding options in Northbrook. Fiber Siding – Fiber siding is easy to maintain with many options to choose from. Enhance curb appeal- The older siding becomes the more the color can start to fade. The older it becomes, the harder it is to keep clean. If your ready for new siding contact out experts at Mark’s Tuckpointing. Our siding comes in many different colors and textures that you can add to your home to give it a new look. New siding will also help increase the value of your home in Northbrook. If you are eventually going to sell your home, new siding will come in handy. Homeowners don’t want to spend more on upgrading when they are looking to buy a new home. If you have new siding then your home is more likely to sell quicker. Repair Structural Damage- Some of the homes in Northbrook are very old and could have structural damage from leaks. If our team notices any damage to your home while we are replacing your siding, we can usually repair it without affecting your home. Has your siding been severely damaged due to the storms in Northbrook? If you answered yes, make sure to have it repaired right away. 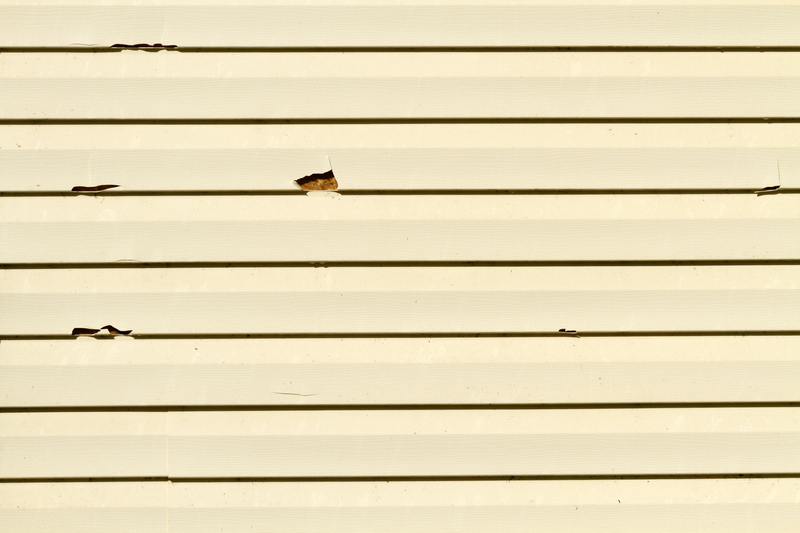 Having your siding repaired right away will help prevent bigger problems and damages to happen. The longer you wait the more expensive the repairs will be. Replacing your siding is a big project and an expensive one. If you need siding repairs contact the professionals at Mark’s Tuckpointing. We will inspect your siding and make the necessary repairs to get your home looking as good as new. In Glenview, Illinois it is easy for siding to become weathered down. 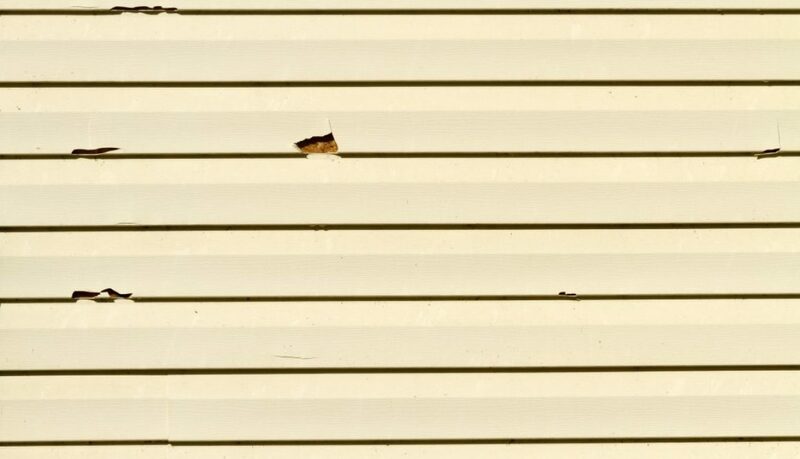 Storms can cause dents and holes in your siding or for pieces to rip off of it. Mark’s Tuckpointing offers siding repair and installation services in the Glenview area. We have several different siding options in which you can choose from. Our team can help you choose the best type of siding for your home to make sure it is one that will last. If you are looking for siding repairs, we will inspect your siding and then discuss what repairs will need to be done. You can rely on our team of professionals for all of your siding needs. Due to weather conditions in the Glenview area, most residents in Glenview have needed siding repairs or installation services. Siding is typically pretty quick to install, depending on the type you choose. If you need siding installation service done on your home contact Mark’s Tuckpointing. Our professionals will walk you through the siding process and make sure you understand what we are going to do. We will help you choose the best type of siding for your home and keep the location in mind when deciding. All of our professionals at Mark’s Tuckpointing are highly trained and certified with many years of experience. You can trust our team for all of your siding services. Vinyl Siding – One of the most durable and affordable siding options in Glenview. Enhance curb appeal- The older siding becomes the more the color will start to fade. It starts getting dirty and is extremely difficult to keep clean. New siding comes in many different colors and textures that you can add to your home to give it a fresh new look. New siding will also help increase the value of your home. If you are eventually going to sell your home, new siding will come in handy. Homeowners don’t want to spend more on upgrading when they are looking to buy a new home. If you have new siding then your home is more likely to sell quicker. Repair Structural Damage- Some of the homes in Glenview are very old and could have structural damage from leaks. If our team notices any damage to your home while we are replacing your siding, we can usually repair it without affecting your home. Has your siding been severely damaged due to Glenview storms? If you answered yes, make sure to have it repaired right away. Having your siding repaired right away will help prevent bigger problems and damages to happen. The longer you wait the more expensive the repairs will be. Replacing your siding is a big project and an expensive one. If you need siding repairs contact the professionals at Mark’s Tuckpointing. We will inspect your siding and make the necessary repairs to get your home looking as good as new. In Chicago, Illinois it is easy for siding to get weathered down fast. Storms can cause lots of damage such as, dents, holes or your siding to rip off. Mark’s Tuckpointing offers siding repair and installation services in the Chicagoland and Suburbs area. We have several different types of siding option in which you can choose from. Our team can help you choose the best type of siding for your home to make sure it is one that will last for many years to come. If you are looking for siding repairs, we will inspect your siding and then explain what repairs we will be doing. You can rely on our team of professionals for all of your siding needs. Due to weather conditions in the Chicago area, most residents in chicago have needed siding repairs or installation services. Siding is typically pretty quick to install, depending on the type you choose. If you need siding installation service done on your home contact Mark’s Tuckpointing. Our professionals will walk you through the entire process and make sure you understand what we are going to do. We will help you choose the best type of siding for your home and keep the location in mind when deciding. All of our professionals at Mark’s Tuckpointing are highly trained and certified with many years of experience. You can trust our team for all of your siding services. 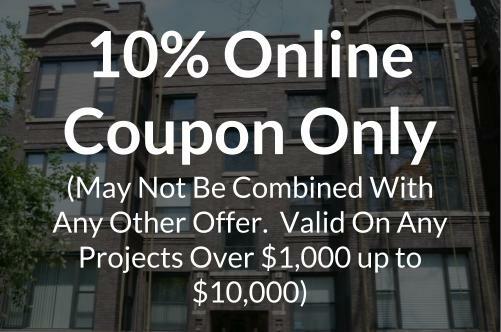 Vinyl Siding – One of the most durable and affordable siding options in Chicago. Repair Structural Damage- Some of the homes in Chicago are very old and could have structural damage from leaks. If our team notices any damage to your home while we are replacing your siding, we can usually repair it without affecting your home. Has your siding been severely damaged due to Chicago storms? If you answered yes, make sure to have it repaired right away. Having your siding repaired right away will help prevent bigger problems and damages to happen. The longer you wait the more expensive the repairs will be. Replacing your siding is a big project and an expensive one. If you need siding repairs contact the professionals at Mark’s Tuckpointing. We will inspect your siding and make the necessary repairs to get your home looking as good as new.